"Double Dragon Neon" marked the silver (25th) anniversary of this brawler franchise in 2012. This game was developed by WayForward, famous for taking various classic franchises and games and giving them new life. They worked their own magic with two forgotten heroes in today's realm of gaming and reviving it in their own way. So how do you revive one of today's more forgotten franchises? Of course- with a new adventure! DD Neon is a new adventure with old school style. If you look elsewhere, one reviewer, say... IGN (or as I like to call them, "IGNore") gave this game a score in the 3 out of 10 range, saying the game is slow and brings nothing new to gaming. Well guess what? 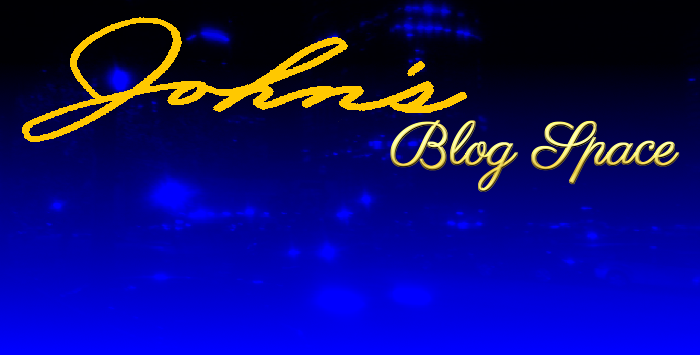 You're on John's Blog Space! I'm here to offer my own thoughts on "Double Dragon Neon." Double Dragon Neon is a new adventure with some old feel to it. The story is the same as almost any past Double Dragon- Marian gets kidnapped by evil forces, and it's up to Bruce and Jimmy to rescue poor Marian. This time, rather than the Shadow Boss, it is a new foe- your worst nightmare: Skullmageddon! Ten levels of insanity await you. If you want to stand the best chance of victory, make sure you fighting skills and magic skills are up to par. Here are some basic things to know, including a few basic thoughts. This game has an '80s feel to it with the environment and the music. Usually, I HATE the 80s (and I was born in the '80s! ); but this game playfully references to the '80s without overkilling it. At least you know what game you are playing when you hear "Dead or Alive"- the theme of Double Dragon. Some songs from past Double Dragon games are re-mastered as part of the package. Your skills are primarily based on having two sets of cassettes that serve as the bases of your fighting technique. Being that unstoppable force means having one cassette define your basic fighting style while having another one define your magic. You may equip one tape that focuses on powerful attacks or does greater damage using weapons, and then equip a magic attack that makes you able to shoot fireballs. In a way, think of this customization kind of like playing a MegaMan game- in the sense that you equip yourself with certain attacks from enemies you've defeated to use against other enemies. Every even-numbered level (2, 4, 6, 8, 10) is a Boss battle level. Remember these boss battles because one aspect of beating bosses will be important in upgrading your skills. Early on, you play the game on the easiest setting and work your way until you eventually complete the game for the first time. You will need to collect money to be able to purchase items to upgrade your abilities and to keep yourself maintained. As you beat bosses, you will earn Mythril that can be used to upgrade your tapes. Let me warn you- you may have to do some grinding of money and Mythril to really boost your skills. There are a number of items for you to pick up ranging from powerups to weapons. Weapons range from baseball bats to exploding barrels to... afro picks. Clearing the game on one difficulty level will unlock harder levels. And trust me- you will need to upgrade your skills before even thinking about taking on the tougher difficulty levels. The brawling action itself is mostly standard issue Double Dragon action with some of the more popular enemies making appearances in the game. This includes everyone from the weak Williams enemies, to the whip-wielding Linda girls, to the beastly Abobo. A number of newer enemies fill the roster of characters to deliver the most frenzied brawler experience on modern consoles. Combat is very engaging while not feeling impossible or unfair. Only minor frustration can ensue in most battles. If you are playing with a friend, you and your friend can engage in different moves and gestures to help out your bro. I've only played this game solo, so I can't say I've used the combo of Bruce and Jimmy Lee in Double Dragon Neon. Those are most of the basics. Now on to my overall review of "Double Dragon Neon." Double Dragon Neon is a great classic-style game. The only real negatives of this game mostly involve the pace of the game and some of the battles. Even a modern mainstream gamer can appreciate the classic feel of one of gaming's great franchises. This game appeals to the old school gamer who loves a good fight. The game plays smoothly just about all game long with no hitches or lag. Any frustration one may have will be mostly minimal. You may even argue that this game maybe could use a few more classic elements and a few more classic enemies. Other than that, "Double Dragon Neon" is a new adventure in the Double Dragon series that feels every bit as enjoyable as any past Double Dragon. This is a classic Double Dragon game that still retains its old feel while not being too new to veterans of the franchise. It may not be of Final Fight or Streets of Rage brawler quality, but this game does have its distinct Double Dragon feel. I think anyone who enjoys old school brawling game action will enjoy this game. Guaranteed. Even if you know nothing of the Double Dragon franchise, this game will surely make you a fan of the series. There is one thing about this game- this game is absolutely funny! In fact, when I beat the game for the first time, I couldn't stop laughing at the ending of the game. The humor is incredible and really keeps the game interesting. You can say whatever you want about Double Dragon Neon... just don't call it boring. Double Dragon is available on PlayStation 3 and XBOX 360. You can listen to the entire Double Dragon Neon soundtrack by clicking on this link below. Enjoy! To learn more about WayForward and their other games, please visit wayforward.com. The link to Double Dragon Neon on their site can be found here: Double Dragon Neon link on wayforward.com. That concludes my own personal review of "Double Dragon Neon." Go dole out justice proper and defeat Skullmageddon with these two guys. Thank you for reading! Take care and be well.